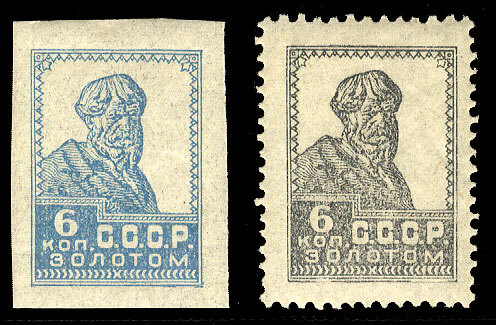 1924 definitives (typographed), 6k light blue, imperf. single with large margins all around, also 6k black (lithographed), perf. and gummed trial color proof, n.h., v.f.